Armed protesters display weapons at Phoenix Mosque rally. Intimidating men , women, and children with their large rifles. 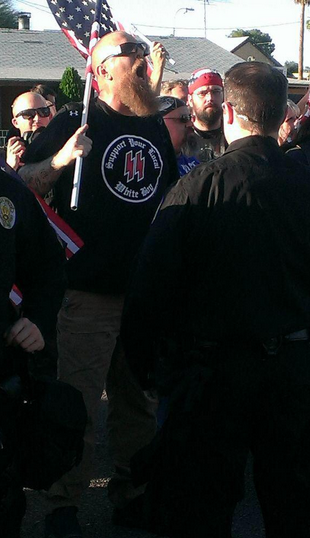 From the picture you can see that there were neo-Nazis at the Anti-Muslim hate rally. This was not ‘free speech’ as some would like to say, this was more to intimidate and incite violence. The Anti-Muslim hate-rally was not a ‘protest’, it was a violent intimidation of innocent American Muslims by anti-Muslim bigots.